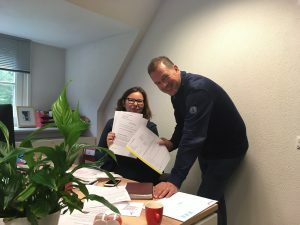 Last October, we received the good news that here at Translavic, we had been awarded the translation tender for Toerisme Vlaanderen (Tourism Flanders). This includes quality translations of promotional texts – campaigns, articles, magazines, brochures, social media reports, websites and news posts – intended to promote Flanders to international tourists. The contract term is four years and the estimated value of the translation work is EUR 200,000. The source language is usually Dutch or English and depending on the specific job, the texts will be translated into Dutch, English, French, German, Spanish or Italian. As part of the call for tenders, Translavic had to demonstrate the skills and experience they had in translating promotional texts; this was done through test translations, customer references, and descriptions of relevant completed assignments. What is very important to the customer, is that the translated texts are easy-to-read and of a ‘copyright standard’. In addition, it is crucial that the translations can be delivered quickly and that they take into account keyword integration and the Toerisme Vlaanderen marketing strategy. The test translations were rated as excellent: ‘totally error-free and very good to read’. Our project managers, Orsolya Farkas and Patrycja Rudner, are now having a lot of fun getting started with the various jobs coming from Toerisme Vlaanderen. It is really pleasant to collaborate with Toerisme Vlaanderen and the source texts all have inspiring themes based on culture, tourism, events and history. At the moment, the finishing touches are being done to the translation of a website about the Flemish Masters. In addition, the texts talk about Flemish dining, drinking and table culture… our team of translators are finding that the texts about Belgian beer and Belgian chocolate are really making their mouths water!